Once, a long time ago, witches ruled, but those days are long gone. The Brothers' eradicated the witches and now keep a tight leash on all the women. If a woman is accused to witchery she is arrested, and shipped off to Harwood, an institution meant to cure them of their deviant ways. This is Cate's world, and when her mother died she had to grow up fast so she could take care of her sisters, Maura and Tess. She needed to teach them and protect them from the Brothers, because the Cahill women are all witches. Paul McLeod is Cate's oldest friend. He's been away for a while, and now that he's come back all grown up and handsome, he intends to marry Cate. She has no problem with this, what could be better than marry someone she's known all her life? But he wants them to live in the city, and she can't afford to leave her sisters now. Not only that, but now that she's gotten to know Finn Belastra, the bookseller turned gardener, Cate can't stop thinking about him and his freckles! 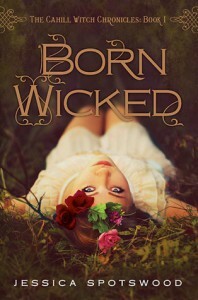 Born Wicked is a delightful tale of knowing what you really want, going for it, and making sacrifices for the sake of others. Cate was a wonderful character to read. She's a bit of a control freak, but with good reason since she's trying to keep her sisters safe from the Brothers. 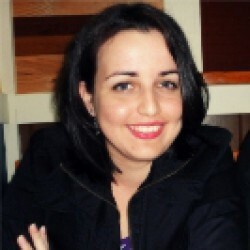 She has no choice but to be the parent, the "bad guy," the one who "doesn't have fun." And I think that's why Finn is so perfect for her. He just lets her be free, be who she really is. The girl who likes to climb trees, and get dirty while gardening. I don't know if Paul would have let her be that free, though he seems to like her well enough and they've been friends forever. I can't get into the story without giving away some major things, but I will tell you this…it will keep you reading all night long! As the story unfolds there are more and more twists and surprises on every chapter. Born Wicked ends with a rather disagreeable ending where Cate has given up her freedom, her happiness to save everyone she loves, and there is no hope on the horizon. But this is just the first book in the Cahill Witch Chronicles, and boy is it a great start! I can't wait what's next in store for Cate and her sisters!